DLF is one of the leading names in real estate for over sixty years now. Be it homes, retail space or offices you will surely find a DLF insignia emblazoned in every poshest nook of the country. 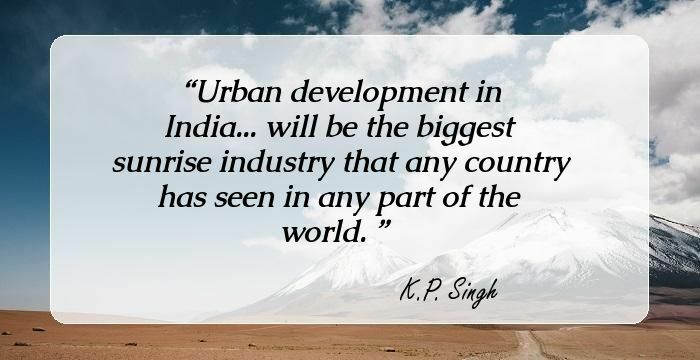 It is common knowledge that Indian businessman Kushal Pal Singh is the owner of the multi-billionaire firm. 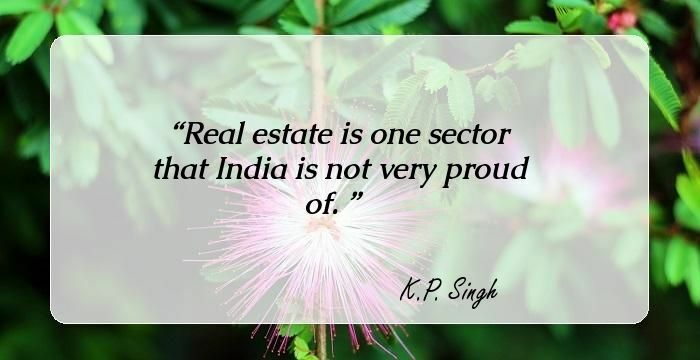 But what not many know is Singh had almost signed the papers to sell DLF. Recalling the incident from his life Singh says, "It was January 1975. I picked up my pen to sign a share transfer form. I was about to sell all my shares in DLF," Singh recalls in his book, released Monday by legendary corporate visionary, former General Electric chief Jack Welch. "On the desk before me was a cheque in my favour of Rs.26 lakh, or Rs.2.6 million -- being the approximate book value of the shares. It was the amount I would get for severing my links with DLF, forever." The business magnate however never followed through the deal and went on to make DLF one of the premier names in the world of real-estate. 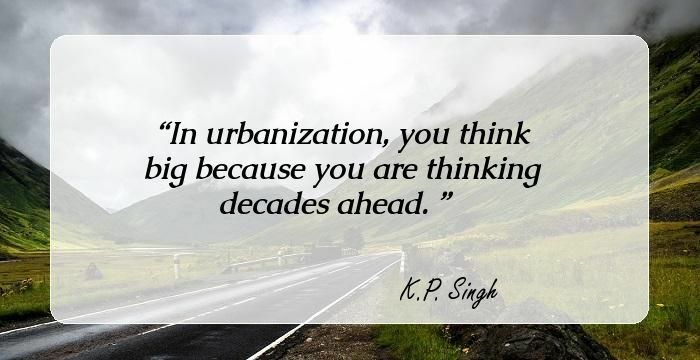 Here we bring to you some of the best inspirational quotes by K. P. Singh himself.